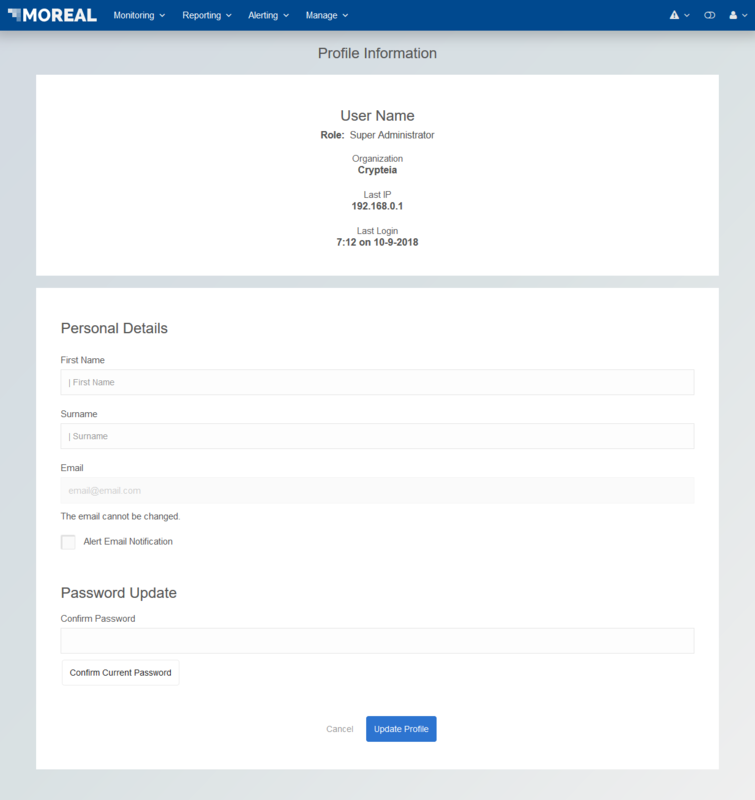 In the Profile page users can alter their personal details and update their passwords. In order to change the password, users must first input their current password for the new password and confirmation inputs to appear. The creation of the new password must comply with the guidelines of a strong password creation as indicated.